A candle and three-branched candle holder combined. That's the Tri-light from Atelier OZO. 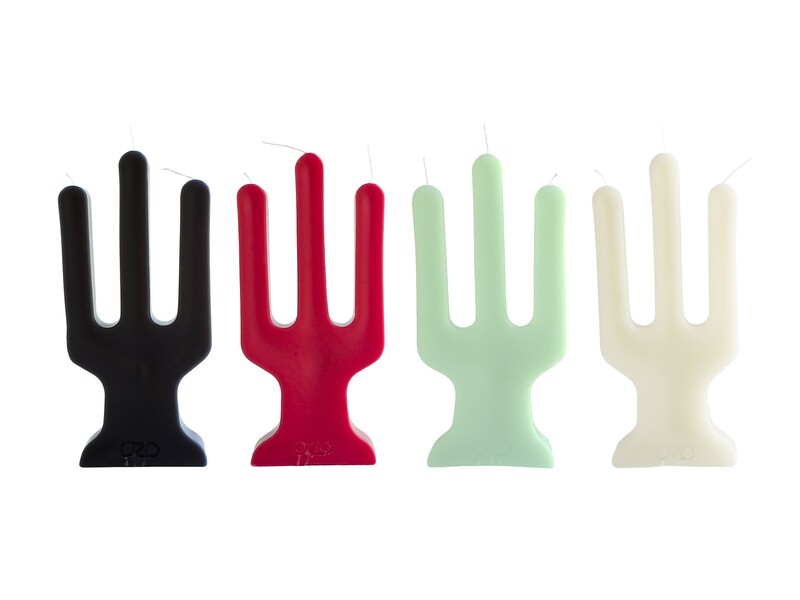 An elegant and playful design by Eric Wijffelaars, made from the recycled wax of church candles. 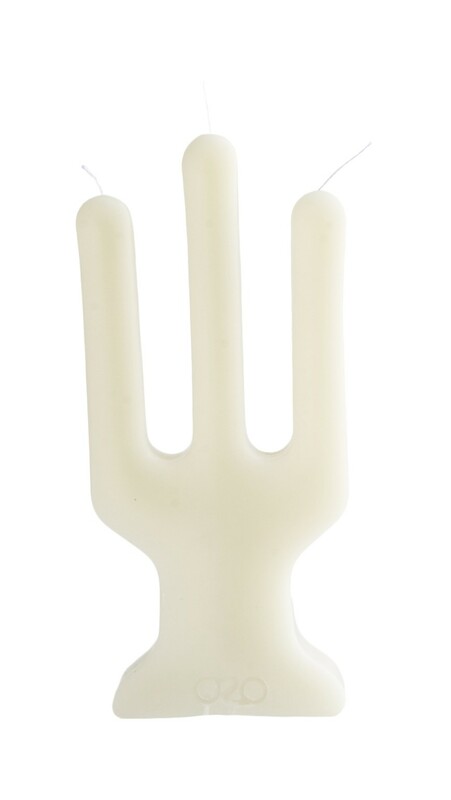 This ivory colored Tri-light candle is a real eye-catcher that is sure to steal the show at the dinner table.